Sponsored page. This property is not Star Rated. 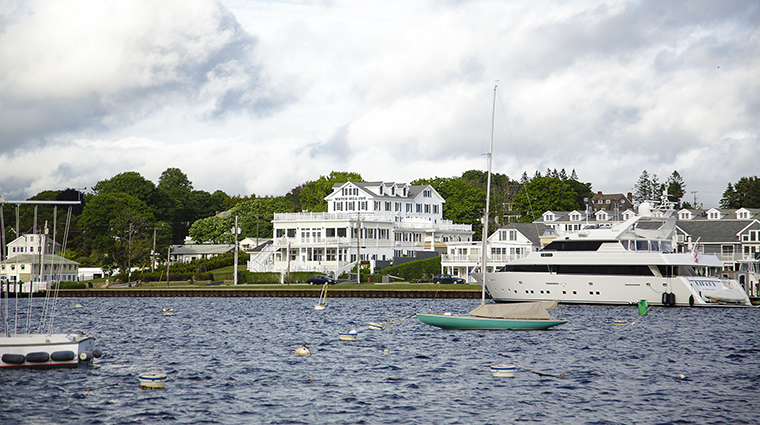 When you want a long getaway, escape to Watch Hill Inn, the newest addition to the Ocean House Hotel Collection. 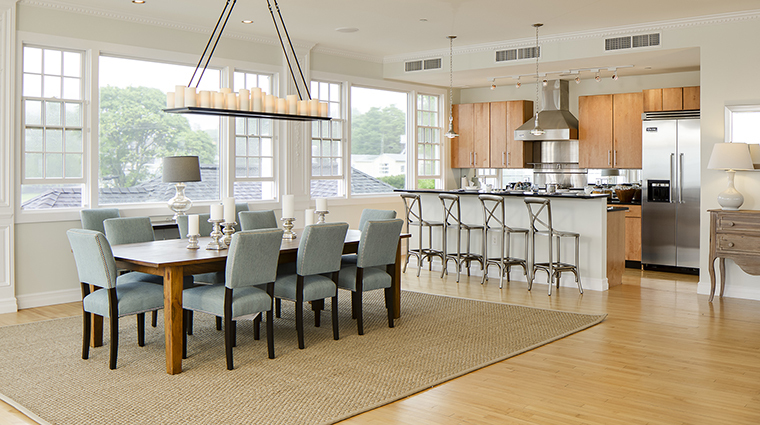 This once residential complex in the heart of Watch Hill, Rhode Island, offers 19 spacious suites, all complete with gourmet kitchens, living rooms, washers and dryers, and spectacular views that will make it easy to linger there longer. Sister property Ocean House is the grand dame of Watch Hill. But at Watch Hill Inn, you’ll have the best access to the town’s main drag, which includes chic souvenir shops with Lilly Pulitzer dresses, the historic “flying horse” carousel (one of the oldest carousels in the country) and St. Clair Annex — don’t miss the restaurant’s house-made ice cream in flavors like coffee Oreo before strolling back to your quaint cottage for an afternoon nap. Details are a big deal to Watch Hill Inn’s staff. Enjoy a glass of champagne at check-in and select your preferred bath products and scents from top lines like Asprey, Molton Brown and Red Flower, offered up in a chic beribboned bag to take to your room. Service is discreet yet friendly, but don’t reach for your wallet. Ocean House and its sister establishments’ busboys, bellmen and drivers don’t accept gratuities; exceptions are made for waitstaff and spa therapists. A generous daily afternoon tea with refreshments like mini cupcakes will keep away the hunger pangs, and there are more small bites, beer and wine each evening. A daily continental breakfast is also available. We love the Lilly Pulitzer Suite. 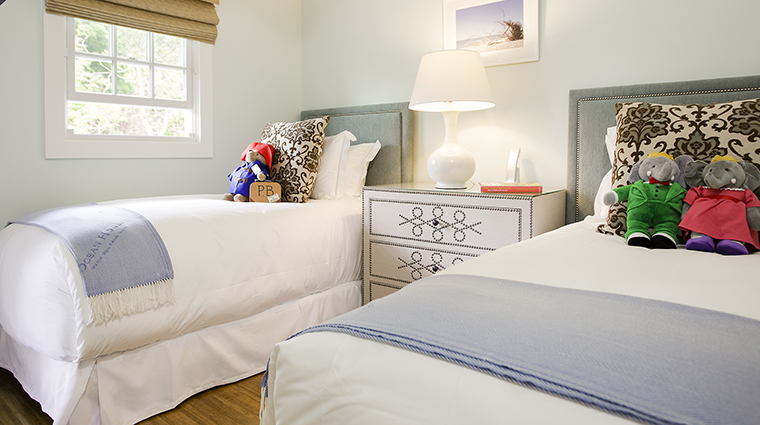 The iconic designer fills the space with bright, beachy décor, from the bedspread and throws to pillows and bar accessories. A stay in the suite comes with a Lilly Pulitzer beach tote that you can take with you while you explore the coast on a Lilly Pulitzer x Martone bike. 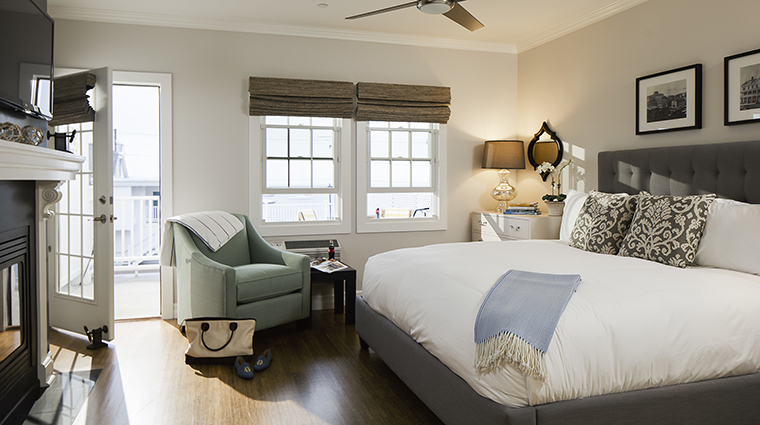 As a guest of Watch Hill Inn, you can enjoy all that big sister Ocean House proper offers, as well as the neighboring property in the collection, Weekapaug Inn. Shared services include fine dining at Seasons restaurant (don’t miss the delicious Sunday jazz brunch), the Five-Star OH! Spa and gym, a private beach, indoor and outdoor pools, and more. When most people think of a beach vacation, they consider an extended stay. 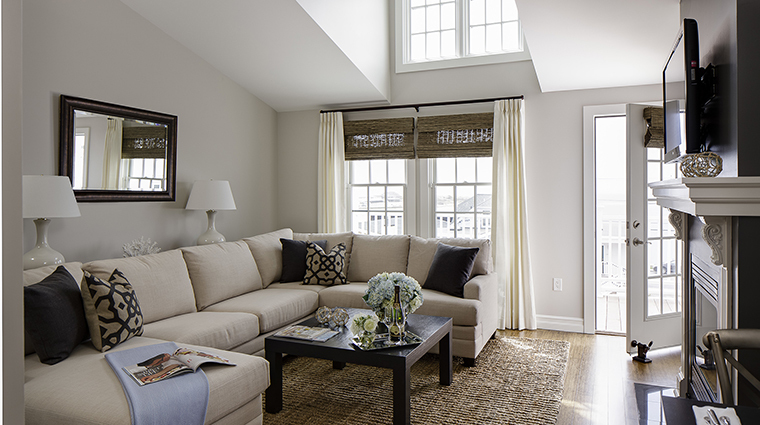 Watch Hill Inn is designed for guests staying a long weekend, week or even a month. Watch Hill Inn proper doesn’t offer a dedicated restaurant; you are welcome to dine at any of the Ocean House Collection’s outlets. Be sure to plan your visit between Memorial Day and Labor Day — the town closes down during the off-season. The Mercedes house car can give you a lift anywhere you need to go. Reserved parking (a premium in downtown Watch Hill) is gratis. 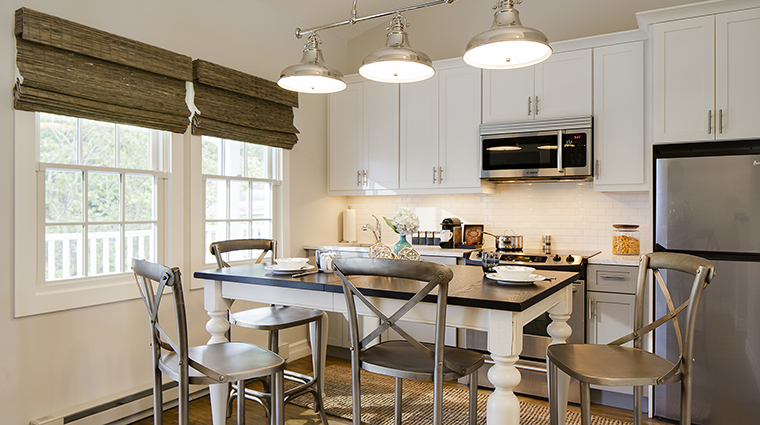 Each of the modern, residential-style condos — which begin at 650 square feet and extend to the 4,000-square-foot penthouse — feature distinct spaces for dining and entertaining. 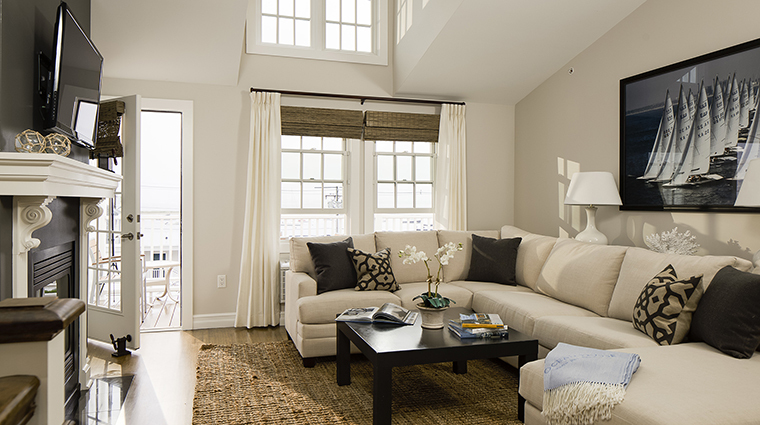 Many accommodations even include large balconies with views of Narragansett Bay, perfect for indoor-outdoor living. Nautical, upscale décor in a soft blue and gray color palette creates a slightly more modern vibe than its sister properties (Weekapaug Inn and Forbes Travel Guide Five-Star Ocean House), while techy touches like Sonos HiFi systems, streaming music and movies, in-room iPads and Apple TVs are a nice addition to gratis high-speed WiFi.